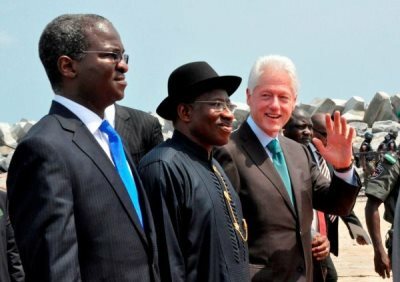 Why Did A Nigerian Company Pay Bill Clinton $1.4 Million For Two Speeches? 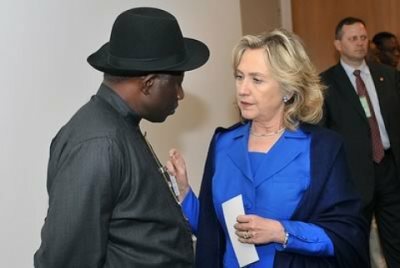 AFRICANGLOBE – An investigation has revealed that Nigerian newspaper THISDAY paid Bill Clinton $700,000 for a single speech – and that this occurred twice in two years. One speech was given in 2011, and one in 2012. Bill Clinton also spoke at a THISDAY event in Abeokuta, Nigeria, in February 2013. At the time of Bill Clinton’s speeches, a members of a small community of individuals which had turnd direction towards policy towards Nigeria wanted Washington to take a tougher line on corruption in the oil-rich country. In a speech in 2012, Hillary Clinton said regarding President Jonathon, “We intend to remain very supportive on your reform efforts. Thank you for mentioning the work we did together on the election. The situation has given fuel to fire in the US with the belief that corporate interests are able to influence government action and in doing so give money to those in power. Bill Clinton was paid $700,000 by the CEO of a Nigerian company, as 70% of Nigerian citizens are living on less than a dollar per day.